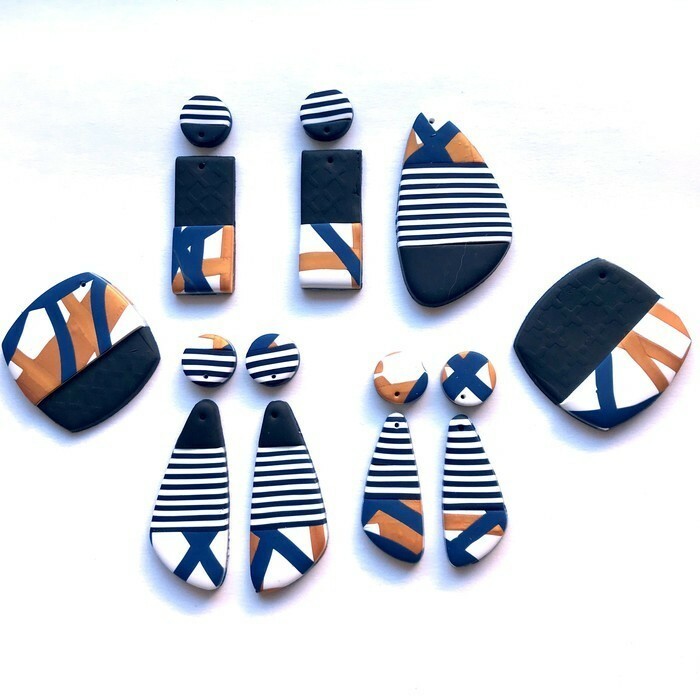 Stripe and layered patterned polymer clay earrings, made with handmade polymer beads by Sasha + Max, paired with stainless steel posts. Light weight. Last image shows the Nautical range - like all sasha+max studio pieces, this range is a limited edition.